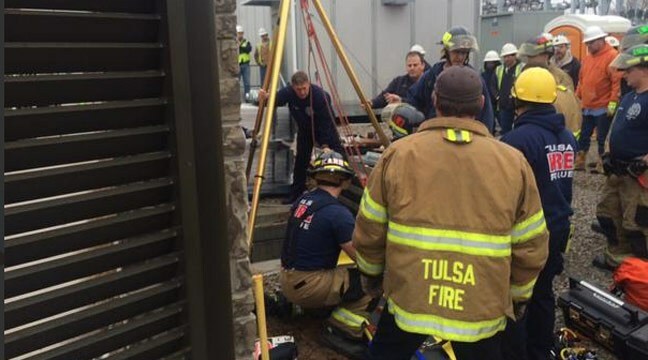 TULSA, Oklahoma – Tulsa firefighters rescued a man who had fallen from a ladder into an underground utility vault Tuesday morning. Rescue responded to the Public Service Company of Oklahoma Carson substation at 1122 South Cheyenne Avenue near downtown before 10 a.m. Firefighters said the man was injured, but was conscious and talking at the scene when he was loaded into the ambulance and taken to a Tulsa hospital. They said he did not come into contact with electricity. Tulsa Fire Captain Stan May said the rescue start to finish took about 30 minutes. “It was a textbook, once we got him packaged up, hoisted up and out and over to stretcher,” said Captain Stan May. 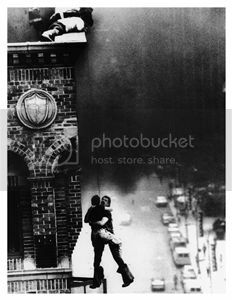 The man fell 10 or 12 feet. PSO President Stuart Soloman was at the scene but declined to comment before he went to the hospital to check on the injured employee.